Chicken kebabs are both healthy and nutritious. 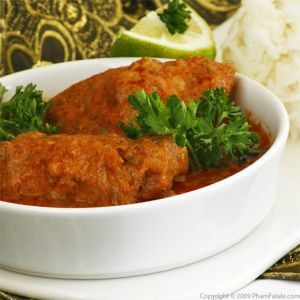 The poultry is mixed with garbanzo beans and seasoned with Indian spices. I usually make this recipe when I have leftover chicken. We had company for dinner so I decided to make a complete meal out of them and serve them as burgers. 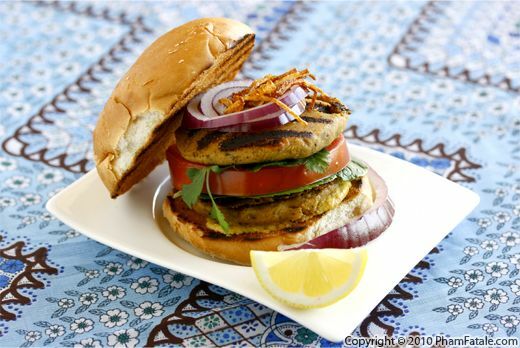 I double-stacked 2 patties with tomato slices, cilantro, fresh mint, raita (Indian yogurt sauce), red onion and fried shallots. 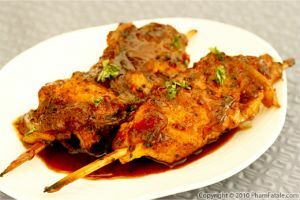 The weather is getting clearer and sunnier by the day, so next time you think of a barbecue, you should consider making chicken shami kebabs (that's the real name of the dish). If you're planning a fancy dinner party, you could serve them as tapas. Bite-size burgers are getting very popular. Either way, you should definitely try this fresh take on an American classic. Prepping the chana dal: In a bowl wash the chana dal thoroughly. Pick out and discard any badly-shaped beans, then soak them for at least 30 minutes. Drain as much liquid as possible. Set aside. In a small pot, combine the soaked chana dal, ginger garlic paste, turmeric powder and red chili powder. Drizzle with 1 tablespoon of oil (I used garlic-infused oil). Add water; the water should cover the lentils entirely. Bring to a boil then lower to a gentle simmer for 45-50 minutes. Add 1-½ teaspoons of salt half-way through the cooking process (it will bring out the natural flavor of the lentils and the lentils will be more tender) and keep stirring every now and then so the lentils don't stick to the bottom of the pot. The liquid should have evaporated. Remove any liquid (if any). Check doneness: The chana dal should be soft when it's gently pressed and crushed between your thumb and index finger. Slice one of the red onions and finely chop the other one. Lightly oil the bowl of a food processor with a silicone brush. 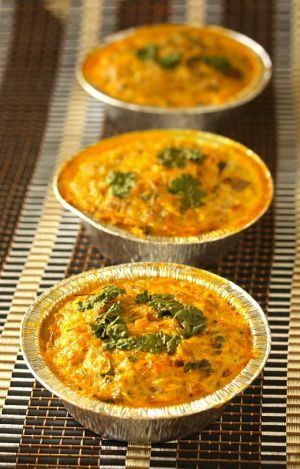 Combine the shredded chicken, chana dal, turmeric powder, ground almonds, garam masala, Anaheim peppers, 2 tablespoons of mint, 2 tablespoons of cilantro, ground cumin, raw very finely chopped red onions and remaining yogurt. Season with ½ teaspoon of salt and 1/8 teaspoon of black pepper. Blend until a smooth paste is formed. Add ¼ cup of water for a smoother flow (if necessary). You could also add more yogurt. Checking the seasoning: In a small pan, heat about 1 teaspoon of canola oil. Add about 1 to 2 tablespoons of the chicken mixture. Cook for about 3 minutes. Taste the meat. Adjust seasoning with more salt and pepper if necessary. Finish by adding the melted ghee. In a bowl, combine the raita, tahini (if used) and mustard. Set aside. Grease disposable gloves with oil (just as you would for Indian cutlets). Form 12 round patties and place them on a tray. Chill them in the freezer for about 1 hour (this step will make the cooking of the patties much easier). Remove the patties from the freezer. Brush the patties with a little oil. Brush a grill pan with the remaining canola oil. Grill all the hamburger buns. Transfer to a platter. On the same grill pan, place the patties. Cook for about 3-4minutes on each side until there is a nicely browned crust. Make grilling marks on the patty on both sides. Transfer to a platter. Drizzle the patties with lemon juice. Spread burger sauce on each bun. 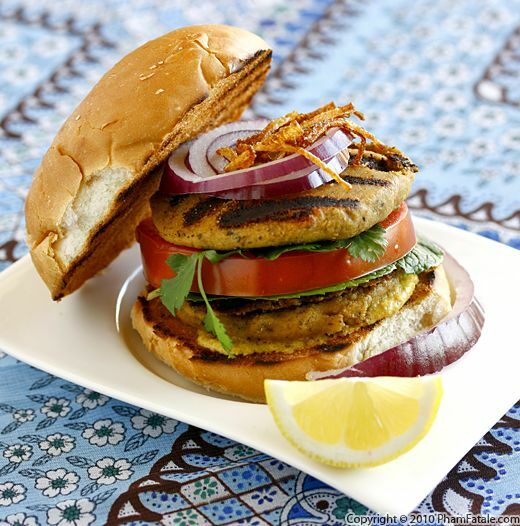 Stack a chicken burger, some greens (cilantro and mint), red onion slices, tomato and another chicken burger and fried shallots. Finish with the top of the bun. I like mixing 1 part chicken breast with 1 part dark meat (chicken thighs). 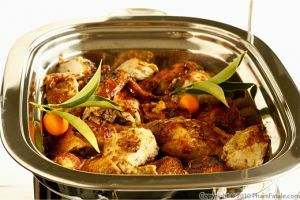 I find the result to be more moist, as dark meat is more flavorful and has more fat than chicken breasts. I used pre-cooked chicken (leftover chicken) but you could start with raw meat. Marinate the meat (lemon, ginger garlic, paprika, yogurt) overnight and cook in a pressure cooker or in a pot for 30-35 minutes. 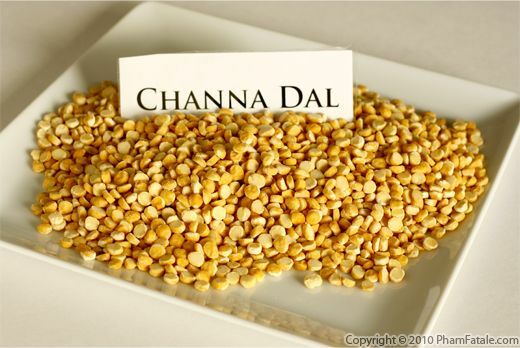 Chana dal (dried chickpeas) can be found in any Indian store. You can check out a picture of fresh chana on the link. For a faster cooking time, you could also cook the lentils in a pressure cooker. It would take only 15 minutes. You can either buy ready-made finely ground almonds or make it yourself. Grind the roasted* almonds with a food processor or spice grinder. Make sure you stop before it turns into nut butter. I use the VitaMix Dry Blade Container. The result should be a fine mill. Little reminder on how to roast almonds*: To release all the flavor and oil of the nuts, I like to roast them in the oven before using them. Spread the nuts onto a baking sheet. Place the tray in a preheated oven at 170°F. Roast the almonds for about 15 minutes. Let the nuts cool completely. Do not roast the nuts over a temperature of 170°F or you'll risk breaking healthy fats and lose all the nutrients. How to caramelize onions: Heat about 1 tablespoon of oil in a non-stick pan. Add thinly sliced onions. Cook over medium-low heat for about 10-15 minutes, stirring frequently to prevent the onion from burning, until the color is evenly golden brown. To save time, I often have already-caramelized onions on hand in the freezer. I suggest making them in advance in large batches. Just place about 1 tablespoon of tightly packed fried onions per slot in an ice-cube tray and freeze them. Transfer the ice-cubes 3 by 3 into sealable plastic bags and place back in the freezer. I think it's the best way to keep the same flavor without getting freezer burn. I store them exactly the same as I would extra pesto or papaya (for marinating meat). 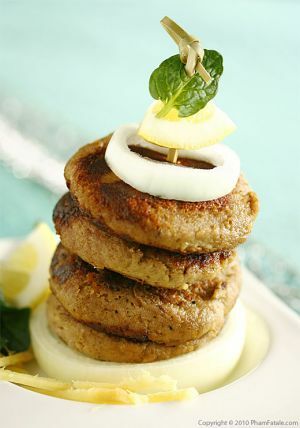 Depending on the season, you can also grill the shami kebabs on a barbecue and get nice grill marks. 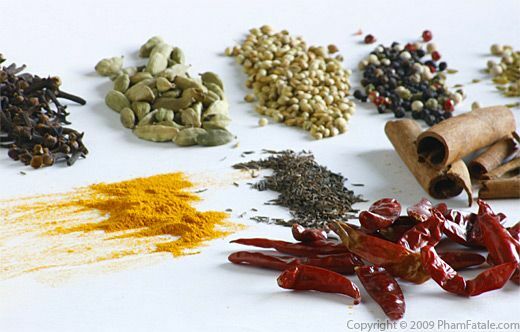 Don't add too much turmeric! I use it just as a natural food coloring to resemble egg color; it makes the ground meat look more vibrant. You could also store the remaining un-seared shami kebabs in the freezer. Using a tray, chill the kebabs (placing little squares of parchment underneath each patty) for about 1 hour in the freezer. Once hardened, stack the patties with the parchment squares between them to prevent them to from sticking to each other. Place the stack in a large re-sealable bag (remove as much air as possible from the bag). I think it's the best way to keep the flavor without getting freezer burn. The kebabs can be stored up to 1 month in the freezer. Don't forget to label your food with the date! You could also serve these as mini appetizers using mini hamburger buns. Published By: Jacqueline Pham on March 22, 2010.